Tyrone boss Mickey Harte’s damning assessment of what transpired on a bitterly cold night in Omagh was echoed not only by his Antrim counterpart Gearóid Adams, but by anybody else watching an instantly forgettable match in which the Saffrons failed to register from play. The defending champions bagged two goals with their first and final attack of the first half to effectively end the game by half-time and so the Red Hands will face Fermanagh in the semi-final on Sunday with Cavan facing Derry in the other last-four tie. However, Adams bemoaned the loss of a dozen players to the university sides and says that Antrim’s ability to compete in the Dr McKenna Cup is being undermined. “That performance wasn’t good enough,” said Adams. We had too many mistakes. “The lack of self-belief… the first goal went in, and it was a fortuitous goal and the game was basically over. We are playing this McKenna Cup without 16 or 17 players. “At least 10 of those players are pushing hard for positions – Paddy McBride, Ryan Murray, Niall McKeever – and that’s only naming a few. Then we have a few boys out injured as well. “There is no use in us playing in this competition if we haven’t got at least 80 per cent of our players. “Tyrone are years ahead of us at the minute but it is soul-destroying when you are coming down to these matches with 21 fit players. “We had to bring Paddy Kelly back on. 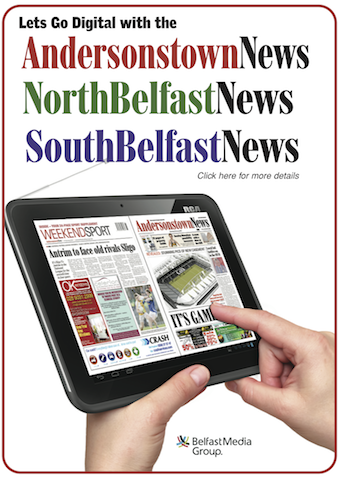 The night got off to the worst possible start for Antrim as they conceded a goal within 30 seconds after Ronan O’Neill’s fisted effort dropped short of the target with Padraig McNulty on hand to palm the ball into the net. The Saffrons were held scoreless for the majority of the first half, with Michael McCann finally getting the visitors off the mark on 33 minutes with a well-taken free. Brian ‘Bam’ Neeson was denied a goal moments later when Tyrone keeper Niall Morgan made a fine point-blank save after the St John’s attacker was played through by Ben Sinnott. 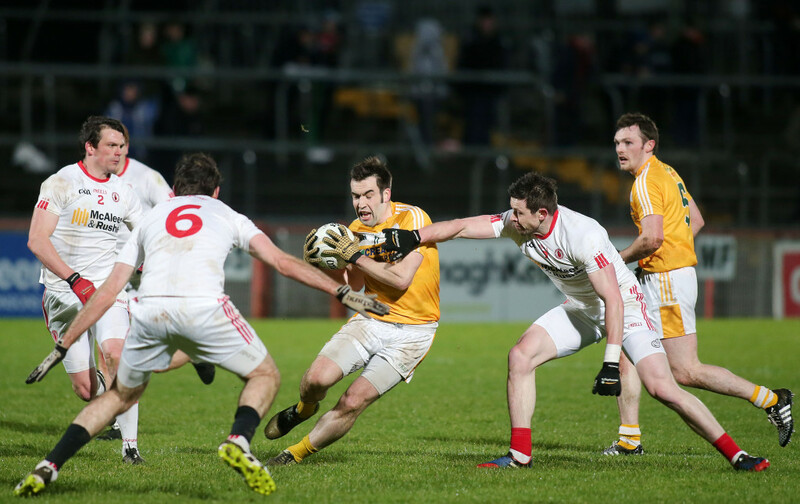 Substitute Colm Fleming converted the resulting 45 but those much-needed scores were quickly wiped out when Lee Brennan sliced through the Antrim rearguard, beating Jackson McGreevy and Justin Crozier, before sliding the ball past Kerr for Tyrone’s second goal. The second half was devoid of flair, creativity and, most importantly, scores with Cathal McShane’s point on 37 minutes the sole score from play after half-time. Antrim did manage to score the final three points of the game, albeit from frees, with Fleming (two) and McCann completing the scoring after a dour 70 minutes of football.